Reserve Your Room A Few Steps Away From The Whitman Baltimore Expo! Will you be at the Whitman Baltimore Summer Expo? We have a special relationship with several hotels – all of which are just a short distance from the Expo – that are ready to welcome Expo attendees! Click the link below to explore your options, but be aware that the reserved blocks often sell out. 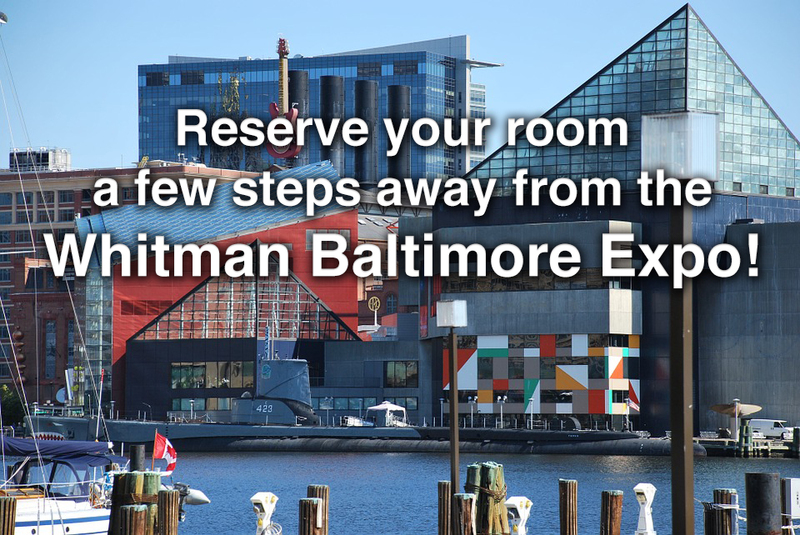 Don’t miss out – reserve your room just a few steps away from the Baltimore Convention Center today!